Two days away! Folkmoot 2016! The festival formally begins Thursday with a “sneak peek” on Wednesday night! 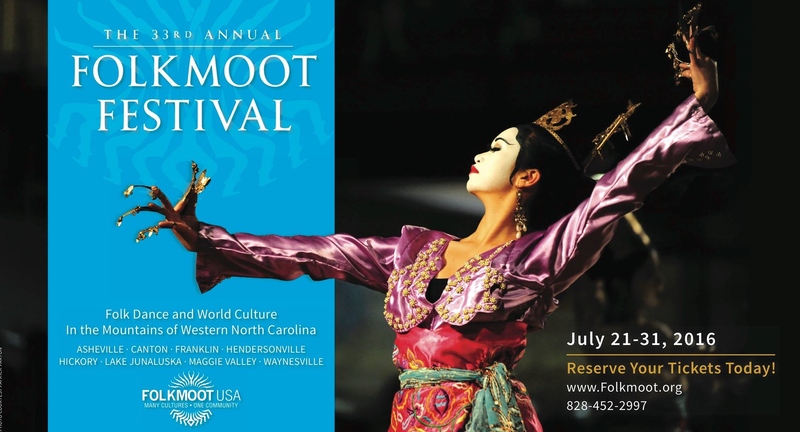 For the next two weeks, Western North Carolina will be awash in the sites and sounds, colors and musical melodies, cultural celebrations and exchanges and – of course – the dancing and pageantry that is the Folkmoot Festival of international folk dance! North Carolina’s official international folklife festival. For over three decades, Folkmoot has filled our Smoky Mountains with dancers from around the globe who share from their lands rich cultural traditions and, in return, learn and take home the equally rich and unique cultural traditions of our beloved mountains. Folkmoot 2016 formally kicks off Thursday night with the Annual Friends of Folkmoot Gala and performances by all the visiting dance troupes. At a new venue this year, the EagleNest Entertainment Complex in Maggie Valley the annual Friends of Folkmoot Gala promises to be an event to last in everyone’s memory for many years to come. If you can’t wait until Thursday, a special sneak-peek preview has been arranged Wednesday night at Bearwaters Brewing Company in Waynesville. The full performance schedule gets underway Friday with two Grand Opening performances, a 4 p.m. matinee at EagleNest Entertainment Center and the traditional Grand Opening evening show, 7 p.m., in Lake Junaluska’s Stuart Auditorium, featuring the Whitewater Bluegrass Company as special guests. Saturday will bring a full day of events and shows with the ever-popular Parade of Nations down Main Street, Waynesville and a new and special event, the Many Cultures Carnival at the Folkmoot Friendship Center (formerly Hazelwood School) in West Waynesville. The Saturday evening full performance at Haywood Community College is always a popular venue. Be sure to see the complete schedule and purchase your tickets online here! The Folkmoot Box Office can be reached by phone during business hours: 828-452-2997 , ext. 207. Folkmoot recruits new countries each year. In Folkmoot’s 33-year history, we’ve hosted almost 8,000 performers from more than 200 countries. Parade of Nations has become a staple for Haywood County. This year we are changing the date and time to better allow families to attend. This spectacular event features Folkmoot’s international groups and local organizations, giant puppets and stilt walkers. It’s is a chance for Western Carolinians to welcome our international guests as well as see previews of our visiting troupes’ performances. The parade will be on Saturday, July 23 at 10:00 a.m. on Main Street in Downtown Waynesville. Many Cultures Kid’s Carnival is a new event for Folkmoot, set for Saturday, July 23 from 12:00 pm until 5:00 pm at the field adjacent to the Folkmoot Friendship Center, 112 Virginia Avenue, Waynesville. This event will include a variety of local organizations and clubs hosting booths with cultural themes including games and crafts. Folkmoot’s international performers will also be sharing their own culture through dance lessons for the children. To top off this amazing event the visiting dance troupes will perform three shows – 1 p.m., 2 p.m. & 3 p.m. – in Folkmoot’s newly renovated Sam Love Queen Auditorium! Each performance will include two groups and will cost $10 for adults and $5 for kids with a $30 cap for larger families. Online ticket sales for the three shows are here, on our tickets page. Global Issues Forum – July 24 is an opportunity for our community to learn more about the differences and similarities among cultures. Folkmoot International groups will also be able to ask Americans their own questions. This event centered on cultural understanding and learning. Lunch starts at 12 in the gym of First United Methodist Church, Waynesville: $10 for adults $5 for kids. Forum begins at 1 pm. Group performance begins at 2 pm, $18. Ambassadors Day Cherokee – Another new event for Festival 2016, our friends and neighbors, the Cherokee people or Tsalagi, will share with our visiting dance troupes and festival attendees the unique experience and often tragic but ultimately victorious history of the Cherokee people. The Cherokee culture and traditions are among the very richest offerings Western Carolina has to the rest of the world. 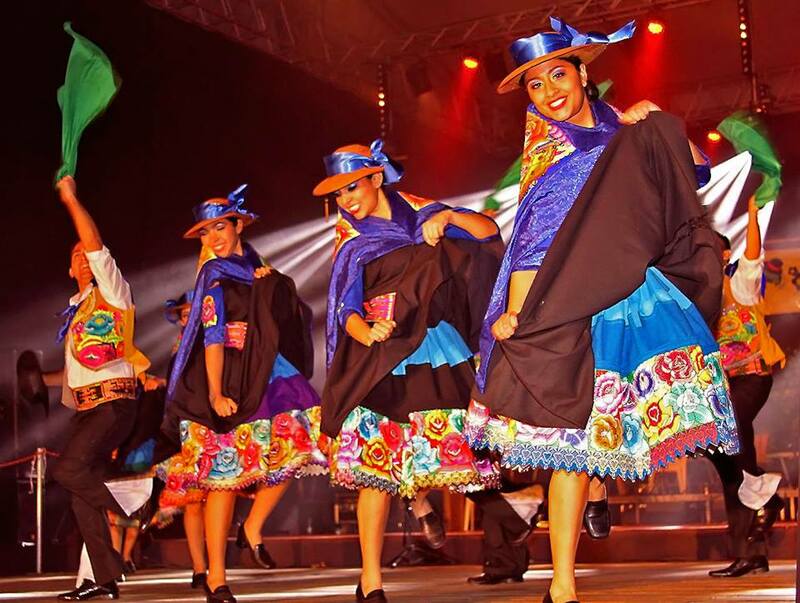 Dress in your best cultural regalia for Folkmoot performances! Festival goers are encouraged to join the fun by sharing your own cultural heritage at all Folkmoot events in 2016. As an example, individuals with Scottish heritage are invited to wear a kilt to any Folkmoot performances. At each event, the “best dressed” will be chosen and this audience member will win a Folkmoot t-shirt. Folkmoot will also feature a photo of these individuals on our social media channels. How to get involved? Folkmoot USA is a non-profit 501(c)3 organization that relies upon donations, sponsorships, Friends of Folkmoot members, ticket sales and grants to hold the Folkmoot Festival each year. Everyone can celebrate and support Folkmoot USA programs by becoming a member through the Friends of Folkmoot on our website, www.FolkmootUSA.org. Your donations support community-building events for kids and families and support our international guests during their stay in Waynesville at the Folkmoot Friendship Center, located in the Historic Hazelwood School. Pick up a bulletin at your local Visitor Center or go online to FolkmootUSA.org to learn more. Volunteers Needed – Volunteer groups are still needed to prepare the Folkmoot Center for the Festival and work events. If you, your company, church or civic group would like to help, please fill out and submit this online form or contact Doug Garrett at 828-452-2997 to find out how you can help. The 33rd Edition of North Carolina’s Official International Folk Festival begins Thursday and runs through July 31, with parades (new parades in Asheville and Franklin), cultural events, festivals within the festival and – of course – those glorious, dramatic and colorful dance performances at venues all over Western North Carolina. A great festival despite losing two groups!